Traffic deaths are not “accidents.” They’re preventable tragedies. They’re unacceptable. They’re not inevitable. The city should bring the Vision Zero program to Rochester. The first Vision Zero program started in Sweden in the late 1990s. Now there are Vision Zero programs in many cities. The aim of Vision Zero is to have zero deaths and serious injuries in road traffic. Vision Zero takes a multi-disciplinary approach to traffic safety. It recognizes that people make mistakes. Instead of blaming victims, we will improve the system to mitigate human error. Using education, enforcement, design, technology and policies, we can make our streets safe for everyone – while not impeding mobility. Look at opportunities to narrow roads and add traffic calming features:If a road has wide lanes, drivers feel more comfortable speeding. Narrow roads reduce the number of crashes. Curb bumpouts, speed bumps and other measures slow down drivers and make them more aware of surroundings. Slower speeds increase the likelihood victims survive crashes. Infrastructure to aid pedestrians and cyclists: Bike lanes, curb extensions, street markings and lighting are among the tools that increase safety while promoting walkability and biking culture. Education:Run public service announcements and hold presentations at schools. We must make dangerous driving as socially unacceptable as drunk driving and distracted driving. Enforcement: Police will crack down on speeding, failure to yield and reckless driving. 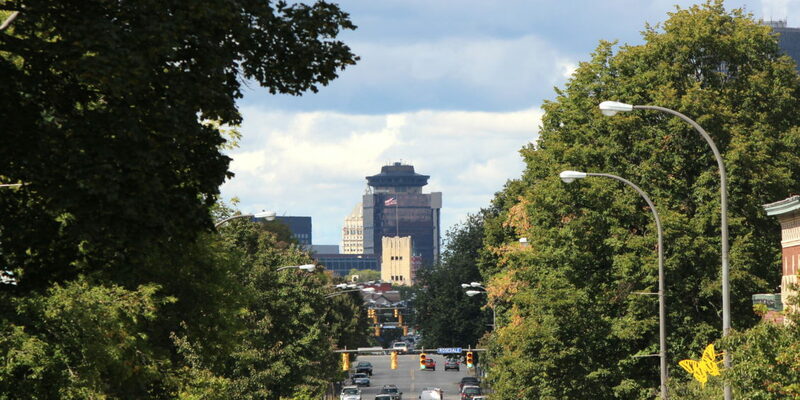 Rochester got rid of red light cameras without any plan to improve road safety. Vision Zero has been proven to save lives.